Almost all web-hosting providers provide services like shared hosting with cPanel Control Panel and WHM Control Panel features, but HostGator is ahead of all other companies. They are one of the biggest players in the industry with loyal customers. One of the top 10 web hosting companies, HostGator has hosted domains over 800,000 in number. They provide round the clock support and whether you are a Fortune 500 company or looking for personal hosting, this company is the right choice. 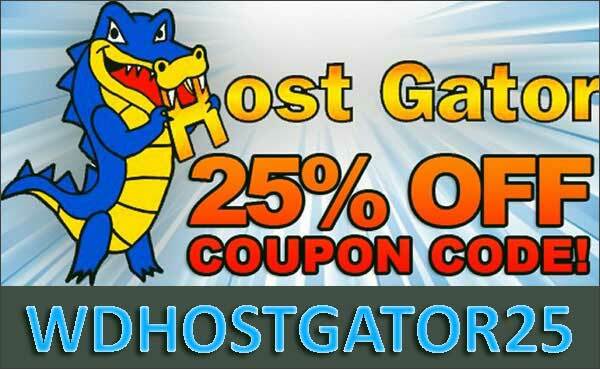 Some of the services offered by HostGator are given below. When you choose webhosting with HostGator, you get unlimited bandwidth and disk space, free templates and tools. All the plans have money back and uptime guarantee. In fact, the guarantee comes from the CEO and if you are not satisfied with the regular support, you will be connected to the CEO who will ensure that your problem gets complete attention and is resolved. You get the latest cPanel and your custom error pages and directories are password protected. The cPanel also includes hotlink protection and IP Deny manager. Hatchling Plan: For newcomers, the hatching plan is good. Start with a single domain and you still get unlimited bandwidth and disk space. Baby Plan: This is suitable for people with a little experience. You get unlimited domains, band width and disk space. Business Plan: HostGator offers business plans for those who wish to start their own websites. You get the same features as in the baby plan and in addition, you also have access to a toll free number that is essential for every e-commerce site. When you register for any of these plans or purchase one or many domains, you get access to cPanel, which is the most popularly used control panel. 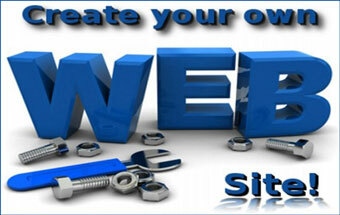 You also get a site builder that is easy to use and you get a professional website in just few minutes. Application hosting is necessary whether you want to create your own e-commerce store, blog, forum or wiki. As HostGator runs of apache, Linux, PHP and MySQL, you have numerous compatible software and applications. Magento Hosting: Start your E-commerce store with Magento and HostGator. The latter company offers business plans that enable you to install Magento automatically. You get a free private SSL and IP for accepting credit card transactions on your site. Wiki Hosting: Your site may not be Wikipedia, but it will be a great way to share knowledge. You can invite people to contribute and share information on your website. Joomla Hosting: HostGator supports Joomla. You can completely control the content management system and customize it with unique plugins and themes. WordPress Hosting: Most people want to start a blog or want to improve their existing blog. With HostGator’s auto WordPress installer, you can do this and much more. If you already have a blog or website and are looking to move over to HostGator, they help you migrate the entire site free of cost and your account is quickly updated using QuickInstall. The VPS Hosting service offered by HostGator is the right balance between dedicated servers and shared hosting. You get customized plans for specific hosting requirements and can upgrade them as and when you need, depending on the growth of your website. So, you have the option of starting small and upgrading gradually as you grow. The network is top of the line that gives you gigabit uplink with a guarantee of 20Mbit connection. The network is fully redundant and there is no failure point. There are multiple network security layers, multiple providers of bandwidth and the data center has back up HVAC units and power generators. When you choose to have a dedicated server from HostGator, you get cPanel free. The server is secured, provisioned and delivered in just one day. When you start up a new business, having a dedicated server is a big advantage. It provides high uptime and security to your sites. You can also buy domain names from HostGator and manage them from an easy to use control panel. When you buy domains, you also get some freebies like Domain Locking which makes use of LaunchPad that locks all the domains so that no unauthorized person can hijack the domain or make any changes. When you have multiple domains, it is likely that you forget the renewal date. But with HostGator, you do not have to worry about the renewal. Your renewal is done automatically by LaunchPad and you will not lose your domain. Starting your web hosting company is easy, profitable and does not require much capital. It is inexpensive. You can use one of the numerous plans to create great websites using your own brand, and each can have its own features, price and packages. Since this is your business, you get to pocket your profits. When you sign up for reseller hosting, you get access to the reseller control panel from where the WHM or the Web Host Manager lets you manage your customers and provide them with their individual cPanel. 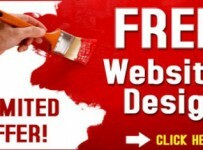 Your customers can then create their own websites and modify them. They can control their email addresses, sub-domains, passwords and others without any external assistance. SidGo for BigRock. I have my VPS and Shared accounts with them. For VPS, be sure to be clear with them what they mean by Managed VPS . I didnt get any suoprpt.But in anycase, I love the hardware they have for general shared hosting and VPS both.Techinical Support teams expertise is questionable and can be a little lagged, mainly because their servers are hosted in the US and have to wait to get any informations relayed back to them.Do give Big Rock a try. And dont forget to bargain prices. Yes, you read right, haggle the prices. Good Luck.